Shopping from United States? Looking for Rxhomeo.com ? Flat ₹ 10 off on our entire product range, use coupon: RS-10-OFF at the time of check out to avil this offer. RXHOMEO® HOMEOPATHIC CHILDREN’S KIT Contains 20 Homeopathic single remedies in 30C potency, each pack contains 400 pellets. 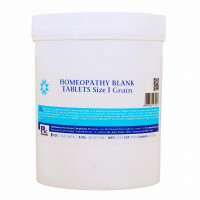 RXHOMEO® HOMEOPATHIC FAMILY KIT Contains 20 Homeopathic single remedies in 30C potency, each pack contains 400 pellets. This category is a collection of informative topics which cover signs, symptoms and homeopathic remedies for several common ailments. Remedies are selected by experienced professionals and can be safely used along with other medications. We distribute over 5000 products which are listed with US FDA and manufactured according to Homeopathic Pharmacopoeia of the United States (HPUS) while adhering to stringent current Good Manufacturing Practices (cGMP). Drug facts for all our products are also available in DailyMed a service from U.S. National Library of Medicine which provides trustworthy information about all drugs marketed in the United States. DailyMed is also the official provider of FDA label information (package inserts). All India domestic orders are shipped from our facility in Hyderabad, India which is also registered with US FDA. Learn more. All prices in INR | Discount is applied in cart when criteria is met | Coupon not required | Discount not applicable on Blank Pellets and Tablets | Terms and Conditions apply. All information contained on this site, including information relating to medical and health conditions, products and treatments, are for informational purposes only. It is not meant to be a substitute for the advice provided by your own physician or other medical professionals or any information contained on or in any product packaging or labels. Information and statements regarding healthcare products are not intended to diagnose, treat, cure, or prevent any disease. Your continued access or use of the site shall be deemed your acceptance of all our terms and conditions. Top Indian Cities: Mumbai, Delhi, Bengaluru, Chennai, Hyderabad, Ahmedabad, Kolkata, Surat, Pune, Jaipur, Lucknow, Kanpur, Nagpur, Visakhapatnam, Indore, Thane, Bhopal, Pimpri-Chinchwad, Patna, Vadodara, Ghaziabad, Ludhiana, Coimbatore, Agra, Madurai, Nashik, Vijayawada, Faridabad, Meerut, Rajkot, Kalyan-Dombivali, Vasai-Virar, Varanasi, Srinagar, Aurangabad, Dhanbad, Amritsar, Navi Mumbai, Allahabad, Ranchi, Howrah, Jabalpur, Gwalior, Jodhpur, Raipur, Kota, Guwahati, Chandigarh, Thiruvananthapuram, Solapur. 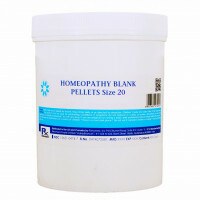 We carry a large selection of homeopathy remedies in pellet or tablet forms in various pack sizes and homeopathic potencies. All single remedies are listed in the Single Remedies category, in addition, you can order Combo products, Cell Salts, Bio-Combinations and homeopathic blank pellets and tablets in the Practitioner Supplies section. This site Rxhomeo.in is intended for Indian residents and Rxhomeo.com for U.S. residents.